The Le Meridien Parker Hotel is set on a 13-acre complex and featuring decor by designer Jonathan Adler. This chic, upscale resort is 2.5 miles from Palm Springs Airport and 4 miles from downtown Palm Springs. Additionally at The Parker Palm Springs is a bistro, a diner, and a drinks lounge. Other amenities include 3 pools, tennis courts, 24-hour fitness room, spa treatments, lawn games, and of course meeting rooms & ballroom. 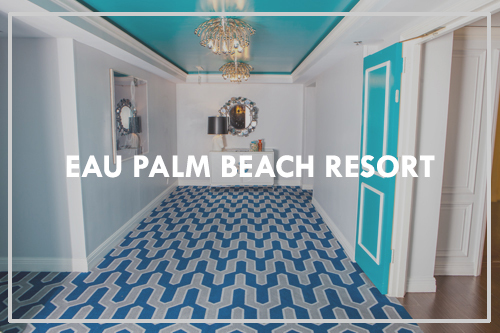 Royal American Carpets designed and manufactured the custom Axminster Carpet installed throughout the hotel corridors at Parker Palm Springs Hotel. Produced with 80% wool/20% nylon, the high-end carpet combines both durability and beauty, elevating the interiors of this stunning hospitality property.